Jim Baird is an Adventurer, videographer, writer, photographer, and talent. His previous rolls include extensive work with a map company as well as guiding and prospecting. Jim has shot video for Cineflix productions, BBC Worldwide, 13 Minds, and The Weather Network US. He’s produced video series such as “The Kesagami River Solo” and “Lessons From The Trail with Jim Baird”. 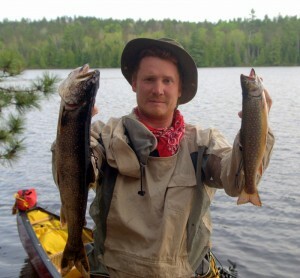 Jim’s content has also appeared in print for several publications that include Explore, Canoeroots, Real Fishing, Ontario Out of Doors, Outdoor Canada, Canoe & Kayak, and Field & Stream magazines. Jim is an expert woodsman, white-water canoeist, survivalist, and a bold wilderness navigator. His expedition experience includes a solo trip down the canoe eating rapids of the Kesagami and then along the tempestuous James Bay coat, an 800-mile snowmobile expedition across the Northwest Passage, 300miles above the Arctic Circle. A month long descent of the Northwest Territories Kuujjua River in the Arctic Archipelago, followed by 120-kilometers of paddling on the Arctic Ocean. He’s also completed a 33-day canoe expedition via four rivers including the Adlatok in northern Quebec and Labrador.